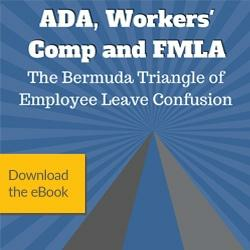 Employees do not have to mention the FMLA when they give notice of need of leave. 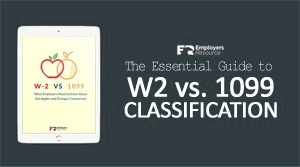 Employers decide if employees are eligible for FMLA leave and whether the reason for leave qualifies under that law and they are responsible for notifying employees of the leave classification. This notification should be made in writing. Under the FMLA, employees may use FMLA in a large consecutive block of time or intermittently for a single FMLA-qualifying reason. Employers must allow employees to take intermittent leave if it’s medically necessary for treatment or recovery from employees or their family member’s serious health conditions or for military caregiver leave. Employers also must grant intermittent leave to employees because their spouse, parent, or child is called up for or is on active duty in the Armed Forces. However, they don’t have to consent to employee requests for intermittent leave due to the birth, adoption, or foster care placement of a child. Regardless of whether the leave is taken in increments or consecutively, the total amount of leave required is 12 weeks in a 12-month period (or 26 weeks in the case of employees who need to care for service members who become seriously ill or injured while serving in the Armed Forces). Employers can limit the increment of intermittent leave to the shortest period of time their payroll system uses to track absences for leave, if less than one hour. Thorough records must be kept for intermittent leave. Employers also can require employees taking intermittent leave to transfer temporarily to available alternative positions for which they are qualified to better accommodate their absences. The alternative positions must have equivalent pay and benefits, but don’t have to have equivalent duties to employees’ regular jobs. Employers can deduct hourly amounts from employees’ salaries for the time they take unpaid intermittent FMLA leave, including employees who are exempt under the Fair Labor Standards Act. If FLSA-exempt employees take unpaid intermittent FMLA leave, employers can reduce their regular salary for the hours or parts of the weeks they didn’t work. Remember, employers are responsible for deciding if employees are eligible for FMLA leave and if the reason for leave qualifies under that law and for notifying employees of the leave. Failure to comply with FMLA may result in the employer being ordered to pay the employee’s lost wages and benefits, liquidated damages equaling the amount of any actual monetary loss to employee, interest on the amount of damages, attorney’s fees, expert fees, and costs. Employers also can be ordered to reinstate and promote employees. Some states have family and medical leave laws that contain different requirements than the federal FMLA. State laws should be reviewed to determine additional requirements of employers and employees. For additional information, contact your Employers Resource HR Specialist. Independent Contractor vs. Employee How Much Do You Make?